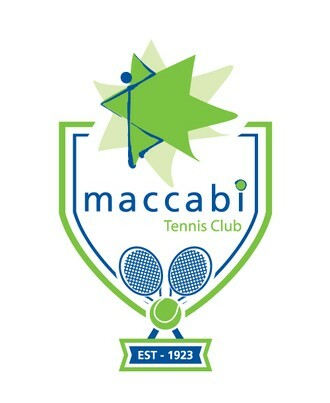 Welcome to the exciting new format of Macc-Chat, still packed with news and photos from Maccabi Victoria, our Members and Clubs. Watch the video above from the Working With Children Check Unit explaining one of the changes. Significant legal changes have come into effect in the area of child related work. Some have a direct impact on Maccabi and the requirements of your club. to make Maccabi a safe place for our kids. 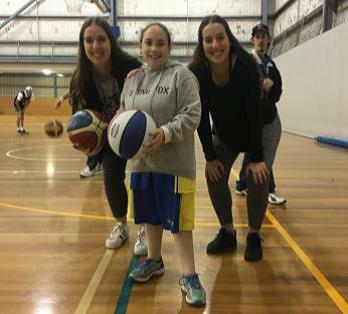 We are currently recruiting for the 2018 Maccabi Carnival, which will be in Melbourne from 14-21 January, 2018. Notice of the Annual General Meeting of Maccabi Victoria Inc.
7:45pm on Wednesday 6 September 2017 at the Maccabi Victoria office, Level 1, 176 Bambra Road, Caulfield South 3162. Please contact Jacquie Lerner at the MacVic office for further details of the Agenda or Nomination Forms for Board vacancies. Please diarise Sunday 15 October (early evening) and start spreading the word around your Club and to family and friends - it will be a whole lot of fun. Please watch this space for more details coming soon and for Table bookings (Table of 10). Last Week Coach Rob Patterson addressed the the AJAX FC Reserves at half time prior to a winning second half and their 4th win for the year. 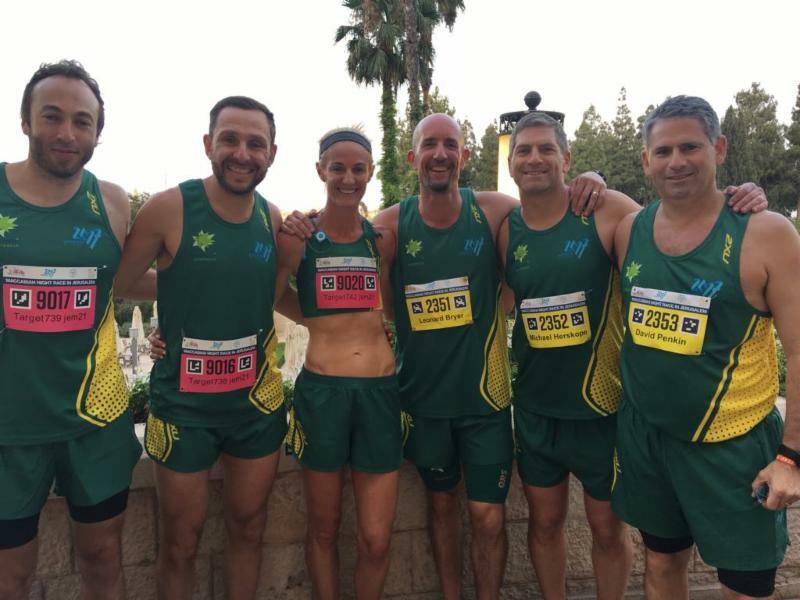 Read great stories from our Maccabiah track and field teams, Zac Ashkanasy wins the 40-44 age group 15K run at Lake Wendouree in Ballarat. A brilliant second half headlined by a Jake Lew masterclass helped the Jackas snap a three-game losing streak with a 61-point win over Peninsula at Gary Smorgon Oval on Saturday. 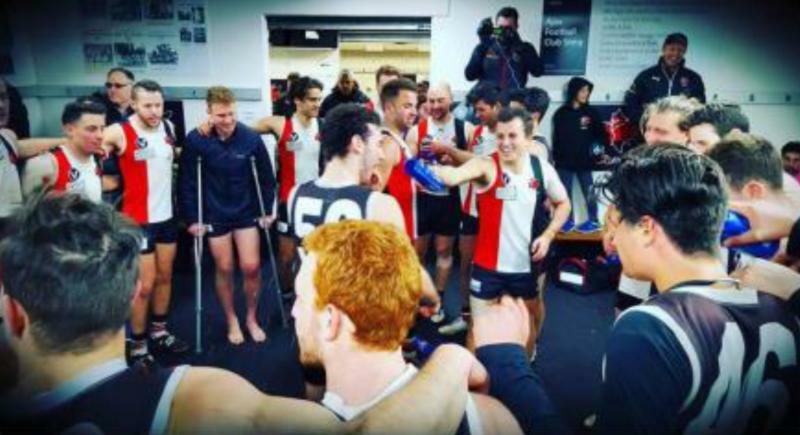 Click here for the Round 13 edition of the Weekly Wrap. Pictured is Dean Jacobs about to lead his U11 Comet team mates through his 50th game banner in Round 13. Our 'D Grade' Maccabi Champions put up a great fight but were defeated on Monday night in the Pennant Grand Final. Round 14 saw five out of six Maccabi teams win. For some, it was nice to end the season on a high, whilst for others, finals beckon. Join the Zionist Federation of Australia, partnering with Zionism Victoria, for the worldwide premiere of "Whose Land? "Featuring a Q&A Session with the film's producer Hugh Kitson. The movie will be shown on Sunday 6th August 2017, at 4.30pm at Classic Cinemas. Tickets are $11 (Full) and $9 (Concession). They can be booked at: www.trybooking.com/300577. In a sneak peek of the JIFF 2017 Program, we're excited to share our showcase of the very best of contemporary Israeli cinema; featuring 18 new award-winners and crowd-pleasers that reflect the diversity of the Israeli experience. See these extraordinary Israeli films (and many more) exclusively at the Jewish International Film Festival; October 25 - November 22.